I don't know who came up with this but it's absolutely brilliant! 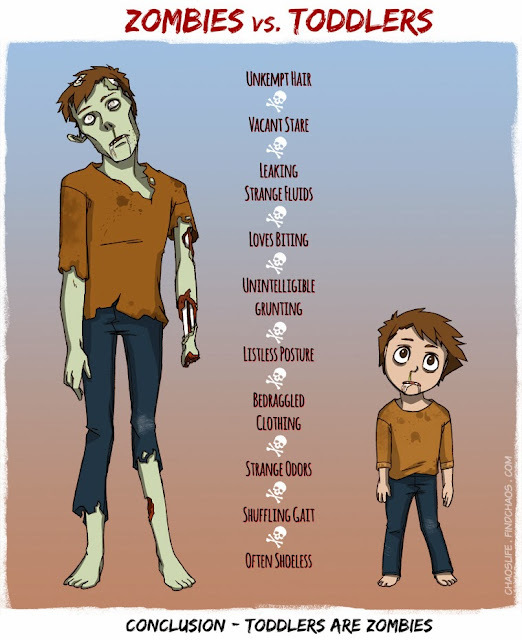 The good news is, your toddler is sure to be safe in the zombie apocalypse if they display any of these behaviours and characteristics. Every good parent knows this is coming, and you're all prepared, right? Right? If you're not scared of zombies, please comment and subcribe via Bloglovin or follow me on Twitter!